Fivemiletown United Football Club would like to thank the following proud businesses who help the club with Sponsorship in one form or another. We could not have provided the essential kits and equipment without the vast support we have had from them. 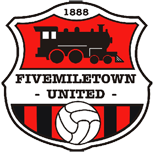 Like all small clubs, Fivemiletown United relies heavily on the surrounding areas for sponsorship/business partnerships. Escalating costs means that the committee is continually trying to come up with new fresh ideas to generate income to keep the club in a healthy financial situation. Would you like to work with us and help provide sport for all ages, 7 – 70, to help the local community and miles around, if you can support us, please contact Mike via email by clicking here or through Facebook, Twitter or phone. We'd be delighted to meet you, introduce you to our Committee, Managers and players, invite you to a game, or explain anything else you need to know. Any assistance in the continuing success of Fivemiletown United Football Club is much appreciated.